Hopefully you joined us for our first installment of two Public Relations posts. We taught you what public relations is and why to use it. And now we'll show you HOW to develop a complete public relations campaign from start to finish. Research all of the newspapers, magazines, television and radio programs in your area. Then find the name of the beat reporter for real estate in that publication (or the main editor if they don't have a real estate specific reporter). Now it's your turn to become the journalist! Call the publication/news outlet or use Google to find the phone and email address of each contact. 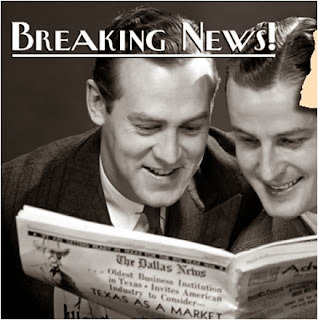 Using Associated Press Style, write a press release about your newsworthy event. Be sure to use a lead sentence which provides top-down information (all the important who, what, when, where, why in one sentence). Keep it brief and succinct. Use a bold and captivating headline. Go to your selected news outlets' websites and determine if they have editorial calendars. If they do, see if they have a real estate issue or small business issue and record all subjects that relate to your news. Find out how the news outlet prefers to be contacted - phone/email/fax. Find similar stories in their publication and reference them in the next step, "Send Your Pitches". Send an email to the contact you found, using their preference of communication and in a few short sentences explain to them why your news would be a good fit for their publication. Reference the section that your story would be a good fit for or list a similar story you found in the last step and mention how your news is similar and therefor appropriate. Attach the press release, provide your contact information and offer to send high resolution photography. The last step is to make follow up calls to your contacts you send pitches to the day after or a few days after. Simply make sure they received your press release and see what you can do to help them with the story. The last step will be to check in with those publications to see if they run your story. Best of luck in your public relations efforts and we hope to see you in the news soon! Now that we know how to work things out for our Property Investment Mackay, we have to ensure that we can apply our strategy well. Keep going on targeting which will help us be successful in the business. Team effort will help us more in our business and we have to take everything seriously. booknewflat.com is India's leading real estate marketing company based in the Delhi NCR. Make me wise renovated apartment beloved mother-in-law. And immediately advised builders, they redecorated her apartment. Mother-in-law a man of wide soul, itself made ​​happy and we decided to cheer on the sly. My skepticism was not the beginning and end. its adekvatnostyu.Ofitsialno signed a contract. My wife and I went to Sochi for two weeks. His mother left the apartment under surveillance. our joy she was delighted. In general I will say this is the first time as mother-in-law did not progodala with builders recommend.